NOTE: Prospective students should kindly know that there is no definite cut off mark for all courses or department but to be eligible for admission into the institution (Futa) Federal University of Technology prospective students must attain the general cut off mark required. If an aspirants strive to score above or exact jamb cut off mark which is 180 in JAMB which is the general cutoff for all institution is eligible to apply for admission into any other course or department in the same university but must go through the usual JAMB analysis , if your cut off mark those not meet the needed requirement or standard which is 180 you can read more on JAMB site for jamb change of course or institution to know how to change your course or institution . Due to the massive number of students who choose or apply to study in the Federal University of Technology, normally the admission processes are very competitive and admission is normally given based on your JAMB score and your O level grades which states no chance for partiality or fraud. A student who scored 180 and above is eligible to sit for the screening test which is to be conducted by the school. Candidates are advised to score higher if they want to gain admission into any professional course in the school. A school like FUTA is very competitive so you are advised to prepare well. Those who did not score well can pick up a lower course to study, so as to get admission easily. Below are the courses and their cut off marks for the school. Below are courses been offered in the federal university of technology as well as their cut off. These are all the courses listed above offered in the school and their cut off marks, candidates should ensure they check their prospective courses and calculate it according to the point system. Cut off mark is a score set by an institution as a basis of getting students into the department or course. This score is usually approved to candidates based on their performance in an item. Attaining higher mark above the required and set marks clear and make the admission process much easier. All this can only be attainable if a student is well prepared towards the examination. While some scores exactly the same mark as set mark by the university, there are very high pointer of not getting admitted because there are tendencies that more students will beat the cut of mark but what will differentiate and guarantee the admission is getting above the required marks that is what will set you apart from others aspirants. 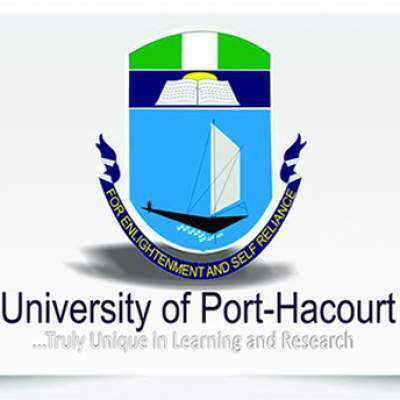 This is the most important information that will help you gain admission into the university. There are some criteria to be seriously observed by student and Aspirants before being admitted to study in any of the courses or department in any university in Nigeria. One of this include meeting the required and definite cutoff mark for each school as well as the courses are chosen in the joint admission matriculation board exam taken. It is very smooth to obtain admission into any institution if one has met the necessary cut off mark for the admission into a particular course or department. Following the decision was taken by the school authority and their prospective Senate, the FUTA JAMB cut off the mark for all courses and department for 2018/19 academic session has been released. Aspirants or Candidates MUST actually meet the required minimum post UTME score for their respectively chosen course, they must have the right UTME subject combinations as usually prescribed in the JAMB digital Brochure and the normal prerequisite for ‘O’ Level subjects. 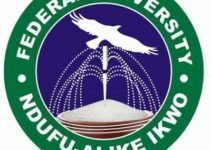 The Federal University of Technology Akure do always hold its admission screening exercises within the period of a week or a couple of weeks and it usually comes in 3 phases. Students who chose to study in the school are then to proceed for the pre-screening when it is then been announced. Documents required and needed for the pre-screening are your: SSCE results in all and JAMB registration print out the original copy only. It is often most important that an aspirant or candidate go early and locate his/her screening venue beforehand. Candidates will be a screen on their JAMB scores and SSCE. After writing your JAMB, registering for the university screening what is next in pipeline as the process of admission also after the list have been released and aspirants were given a provisional admission is the screening by the various head of the department of schools. Your Printed Post-UTME Screening Form gotten from the café. Your Internet or school approved a copy of O’level results. Please note: Cases of awaiting results will NOT be granted. Birth of Certification/Age Declarations is necessary. A letter of good conduct from your pastor or a responsible citizen of your community/or a responsible civil servant not below Grade Level 12 or equivalent in a private sector. Approved Certificate of Local Government of the origin; And this notification of admission. 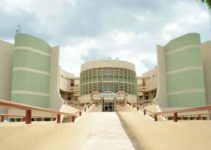 Address and Locations the Federal University of Technology Akure is located in the heart of the town of Akure Ondo state Nigeria. Contact the admin on @ vc@futa.edu.ng, or registry@futa.edu.ng. Also, in this article, we have highlighted the cutoff mark for every department and courses. It is of great importance to know by aspirants that there are many dubious sets of individual who might promise or guarantee admission, upgrade of scores and so many others, all these are lies, not recognized by the institution. So it is advisable all aspirants should sit back and focus on their books and pat questions then maximum assurance is guaranteed for your admission. Goodluck.